The Upper East Historic District Extension (shown with the Upper East Side Historic District’s boundaries). 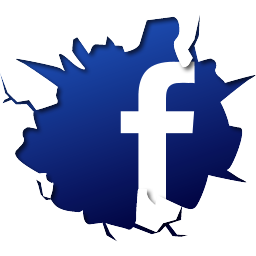 Image: LPC. 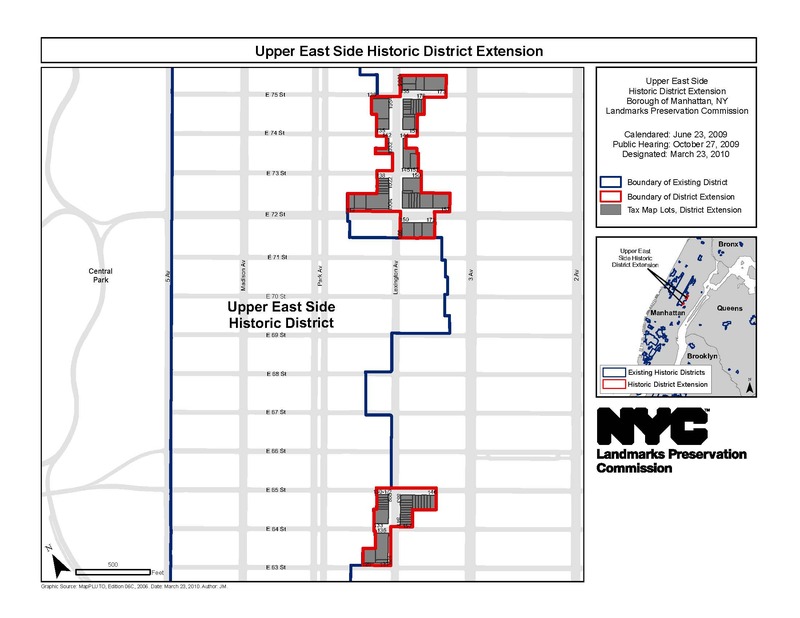 Extension includes 74 properties in two sections contiguous to Upper East Side’s original historic district. On March 23, 2010, Landmarks voted unanimously to designate the Upper East Side Historic District Extension. The extension consists of two distinct sections along Lexington Avenue, with one between East 71st and East 76th Streets, and the other between East 65th and East 63rd Streets. The area first experienced a period of major development in the 1870s, spurred on by the opening of the Third Avenue and Second Avenue elevated rail lines in 1878 and 1880. Neo-Grec and Italianate-style architecture dominated this period of development. The construction of the Lexington Avenue Subway in 1911 triggered a second wave of development. Many existing rowhouses received exterior and interior alterations, and as apartment living became attractive to wealthy New Yorkers, developers began building large Beaux-Arts, Colonial Revival, and neo-Gothic apartment houses. The area’s development history, as well as the scale and character of properties within the extension, matched that of the Upper East Side Historic District, originally designated in 1981. At a hearing on October 27, 2009, Council Member Daniel R. Garodnick spoke in support, calling the extension necessary to preserve the area’s “historic character, distinct architecture, and beautiful side streets.” Representatives of other elected officials, including Council Member Jessica S. Lappin and Manhattan Borough President Scott M. Stringer, also testified in favor. Seri Worden, executive director of Friends of the Upper East Side, noted the recent destruction of the 1880 Kean House at East 65th Street and Lexington, and asked Landmarks to move quickly to ensure that any new development at the now-vacant site was appropriate. Manhattan Community Board 8’s district manager and several neighborhood residents spoke in support. Opposition came from the Real Estate Board of New York, whose representative argued that the buildings in the proposed extension, collectively, did not meet the standard for landmarking. LPC: Upper East Side Historic District Extension, Manhattan (LP-2373) (March 23, 2010).